If you’ve ever asked yourself ‘what is poplin’ then you’re in the right place. You’ve probably, most definitely, worn some variation of poplin, whether it’s 100% cotton poplin or a cotton-poly blend. Whilst traditionally it was primarily used for commonplace attire, it now has a place both in your everyday wardrobe and haute couture fashion. Its popularity is hardly surprising, favoured for its strong, durable nature but soft, lustrous surface. 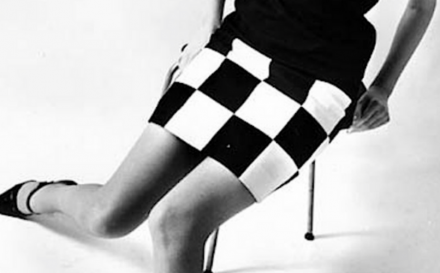 It’s basically a solid, all-rounder fabric that can’t really do any wrong. Poplin is characterised by its distinctive ribbed texture and tightly closed weave, which gives the fabric the lustre that we all love. Traditionally when it was first created, poplin was a plain weave constructed using fine silk warp yarns, filled in with a heavier wool yarn. This is how it gets the classic ribbed texture. Today, poplin is primarily made from 100% real cotton, making it lightweight but still retaining the strength. 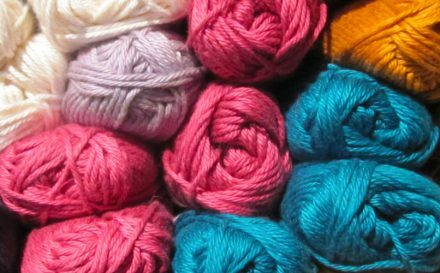 Other variations include wool, silk, satin, rayon or a polyblend fabric, but the basic concept remains the same; 2 yarns of different thicknesses in a plain weave. If, like me, you like having the best of both worlds at all times, poplin is thin and cool with an easy drape, yet simultaneously sturdy and tough. What is Poplin Used For? 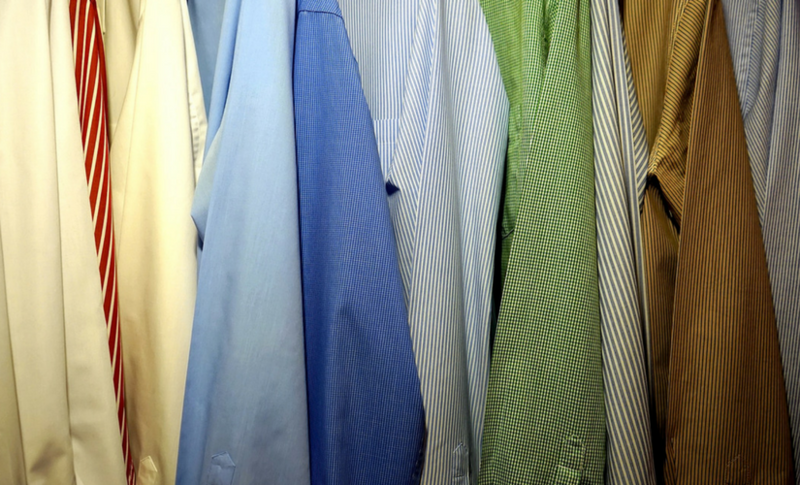 Since it was first made, poplin has been a staple fabric for a wide range of uses. Due to the perfect harmony of durability and elegance, it was a popular choice for women’s dresses, but the 19th century also found it a lovely fabric to use for upholstery. In World War II, both British and US military personnel took a shine to poplin and used it as the main material for the uniforms. It kept soldiers cool when necessary but it was strong enough to endure rough elements. These unique properties have helped make poplin a comfortable but stylish fabric for all manner of clothing, from shirts and skirts to trousers and jackets. It’s so versatile, and the subtle sheen adds a touch of luxury, allowing you to wear it in both casual and formal situations. Often mistaken for the same thing, you might be surprised to know that there actually is a difference between poplin & broadcloth. This distinction lies in the thickness of the yarns used. Broadcloth is woven in the same way as poplin, however the yarns used are a lot thicker and yield a sturdy fabric with a robust feel. 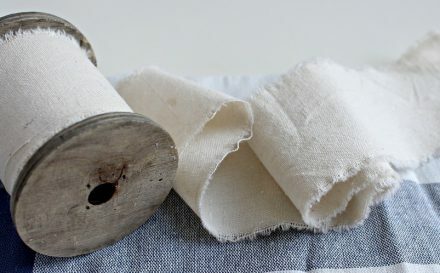 What poplin is, on the other hand, is a fine warp yarn woven with a thicker weft yarn, resulting in a strong material but one that is soft to touch. Poplin has always been incredibly popular, which isn’t surprising given that it’s soft to touch, durable and has a smooth, lustrous surface. Back in the 15th Century, poplin was used for winter attire, and was made using silk and wool. The actual word ‘poplin’ derives from ‘papelaine’, and is based on the (now obsolete) French papal town of Avignon. The fabric was extremely commonplace, and wasn’t deemed luxurious despite being woven with real silk. In the Louisa May Novel ‘Little Women’, two sisters were described as being full of regret for attending a ball in their best poplin dresses, instead of pure silk. What is Poplin Like to Sew With? Poplin is incredibly easy to work with, thanks to its smooth face and ability to hold its shape well, despite being thin. You still may want to stiffen it up beforehand though, as although crisp, it can be quite slippery. Embroidering onto poplin is a popular craft too, due to the nature of the weave and how forgiving this fabric is. 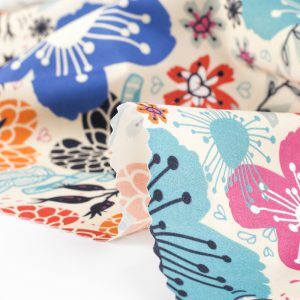 You’ll relish in the ease at which you can work with poplin and turn it into something beautiful and long lasting. You now know everything there is to know about this wonderfully versatile poplin fabric. 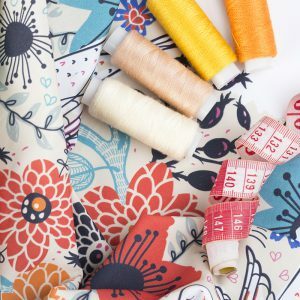 Discover poplin and other fabrics in your own swatch pack.